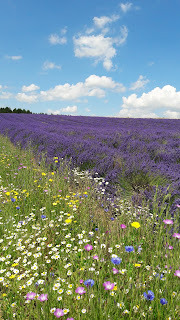 Until the turn of the last century Mitcham, where I grew up, was a village near London surrounded by fields of lavender, plus chamomile and peppermint. In large part this was due to two local physic gardeners, Ephraim Potter and William Moore, who in 1749 set up a distillery there and founded a company to make and market toiletries made from locally-grown herbs and flowers. Yes, Potter and Moore soaps began just a short walk away from my home, but by my time Mitcham lavender only existed in people's gardens and the names of a few roads and an electoral ward. We call lavender a shade, but in reality it's a spectrum. 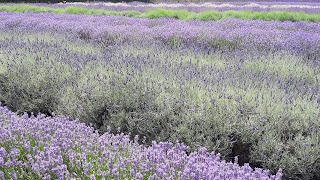 At the entrance to the farm all the varieties grown there - a dozen or so - are planted side by side, in undulating waves of purples, blues, lavenders and mauves, intermingled with some white and different shades of green. 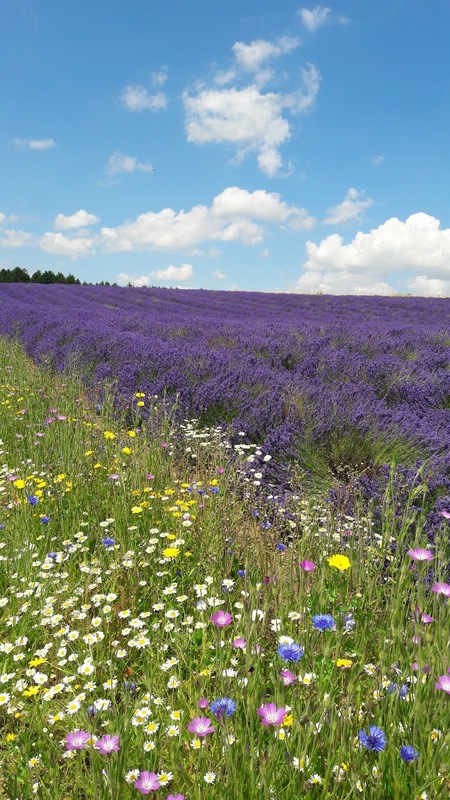 Just as humans come in so many different sizes, shapes and hues, so does lavender; but all able to bloom and thrive companionably in the same soil. Yeah, instead people assume so much more than there is about the words and actions of neighbors and rarely are the assumptions positive. That is the saddest bit.